The Pew Hispanic Center reports that 73% of illegal immigrants’ children are U.S. citizens, an increase of 10% in the last 5 years and a jump of 1.3 million in absolute numbers over the same period. Conversely, the number of juvenile illegal immigrants actually declined by 100,000. The report also finds that nearly illegal immigrants lack a high school education and, not surprisingly, earn substantially less than the American median salary and that nearly 60% of illegals have no health insurance, as do over 30% of their children. The costs of illegal immigration is directly born by schools where 1 out of every 16 kindergarteners is the child of an illegal immigrant. It is unclear exactly how much of the tax burden owed by illegals is actually paid. But even discounting the black market economy of untaxed cash payments, illegals’ lower levels of income mean that their children’s educational expenses are disproportionately born by U.S. citizens. The same can certainly be said of emergency room services, the health care provider of last resort for the uninsured – nearly 9 million of whom are illegal immigrants and their children. Nearly half of unauthorized immigrant households (47%) consist of a couple with children. That is a greater share than for households of U.S.-born residents (21%) or legal immigrants (35%). The report goes on to say that this good news may be temporary. Given illegal immigrants’ youthful population, their tendency to live in nuclear families may dissipate over time as they age and become more Americanized. Ruben Navarrette has consistently said that American businesses who employ illegal workers are a big part, perhaps the biggest part, of the problem that brings so many illegal immigrants to the United States. This is certainly true. But Navarrette is in denial when he says that “The reason for the Hispanic exodus from the GOP is not because Republicans took a stand against illegal immigration”. 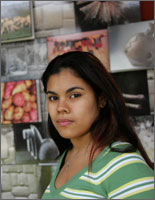 For many Hispanics, empathy with people of their own culture means more than mere logic. Just look at Republicans in Congress who have put their weight behind efforts to declare English the national language, deny citizenship to U.S.-born children of illegal immigrants, and empower local police to enforce federal immigration law. All of these things are opposed by most Latinos. But he fails to draw the correct conclusion, namely that Hispanics taken as a whole would rather the country retain the open borders of the last two decades than enforce immigration law because so many have friends and relatives who benefit greatly from what is essentially unrestricted access to U.S. jobs, health care, and education. Given this, it’s equally obvious why Hispanics vote for Democrats much more frequently than for Republicans, the former party being both very unlikely to press for meaningful immigration reform and very likely to provide social assistance dollars to the Hispanic community, legal and otherwise. Granted, people’s feelings can get hurt by the tone of an opponent’s argument. But that doesn’t explain the almost complete lack of support for Republicans among Hispanic voters. What’s really at issue is a fundamental ethnic and socio-economic divide between Republicans who would like to clamp down on illegal immigration and American Hispanics who see the flood of people like them coming across the Mexican border as more positive than negative. If that weren’t the case, Hispanics would recognize that providing free health care and education for illegal aliens and their country reduces the level of services provided to the people who pay the bills for these programs, their own children included. Similarly, the “anchor baby”-style amnesty that allows the children of illegal immigrants U.S. citizenship has been granted to these children at the sole discretion of the United States. It is merely a policy decision whose ultimate correctness is highly debatable, yet it has the weight of a de facto right in the minds of many American Hispanics. Hence the outrage at the idea of changing the policy despite its obvious desirability from the perspective of American citizens. Finally, Navarrette’s mention of Hispanics’ dislike of local police enforcing U.S. law is a dead giveaway that Hispanics favor illegal immigrants over their fellow citizens. What could be more justified than a Houston police officer enforcing the law of the land, the law that it is his or her sworn duty to uphold? Nothing – unless it threatens the status quo of illegal migration into this country. The bottom line is that for Republicans to win any substantial support from Hispanics they will have to give up on leading the effort to drive immigration reform through Congress because Hispanic voters, who already dislike Republicans for their fiscal conservativeness, will penalize them for it at the polls. In other words, Republicans must become Democrats to win Hispanic votes, something that’s unacceptable to the conservative base. 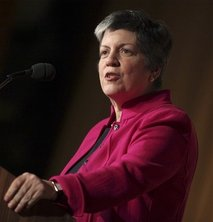 Homeland Security Secretary Janet Napolitano wants to expel what she calls “criminal aliens” from the United States, starting with those already in custody. Napolitano also says that she’s looking at existing immigration enforcement programs to see if taxpayers are getting their money’s worth. The agency estimates there are now as many as 450,000 criminals in federal, state and local detention centers who are in the country illegally. Getting rid of all of these folks would make a nice dent in the illegal immigrant problem. Assuming DHS’ count is in the ballpark, we already have 3-4% of illegals locked up at any given moment. But exactly how many – and who – are we talking about? 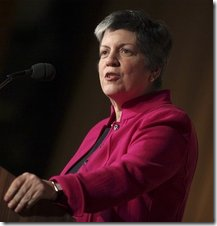 Napolitano said she wants to improve data-sharing among local, state and federal facilities. So far, there are jails in 26 counties across the country with computer systems that can talk instantly with immigration systems. Really, 26 counties nationwide? That’s pretty unimpressive given my (admittedly unofficial) count of 3,095 counties among the 50 states, including 254 in Texas alone. In 2005, U.S. Border Patrol Agents Nacho Ramos and Jose Compeon stopped Oswaldo Aldrete-Davilla, a Mexican drug smuggler in the U.S. illegally, while the latter was in possession of nearly a half-ton of contraband. A struggle ensued and Davilla was shot in the buttocks. Ramos and Compeon, concerned about reporting the matter, foolishly attempted to clean up the scene, were caught, and were sentenced to more than a decade in prison, as David Broussard neatly summarized last year. On his last full day in office, President Bush has commuted the sentences of the agents, undoing a terrible injustice inflicted by the legal system on two of its own, men who were simply trying to protect the borders of their country as per their sworn duty. A wide range of people have been asking for this result for over a year, including, as David noted, “Senators as far apart politically as John Cornyn (R-TX), and Dianne Feinstein (D-CA)”. Better late than never, and certainly better today than tomorrow. President Bush, unlike former President Bill Clinton, had the wisdom not to go on a last-minute spree pardoning and commuting the sentences of known and convicted criminals, something that makes today’s action vis-a-vis Ramos and Compeon more significant. Soon-to-be-president Barack Obama would do well to recognize the symbolism of the action given the hue and cry from the far left demanding that his administration pursue Bush administration justice department officials on war crimes charges. In George W. Bush we witness a president who recognized the necessity for Ramos and Compeon to do what they had to do to protect the citizens of the United States. This is what President-elect Obama needs to do as well, whether he agrees with each and every decision made by the DoJ, the CIA, etc., or not. The men and women working for America’s security in the post-9/11 environment deserve to be recognized for their service, not excoriated for it. He and other Democratic leaders such as Nancy Pelosi ought to know that. It is incumbent upon the new president to see that their deeds, which are mostly good and only rarely ill-conceived, are not punished in the service of an ideological manhunt such as the one called for by writers such as Glen Greenwald and the mob at FireDogLake, to whom I am unwilling to link on this subject, so hateful and ridiculous are their positions. If the Obama administration wants to ban waterboarding and open the gates of Guantanamo, that’s his decision to make. But it would be absolutely unacceptable for his administration to second-guess current officials’ decisions with an eye toward pressing criminal charges. For a litmus test, all Mr. Obama need do is ask himself a simple question: If I were in CIA agent John Smith’s shoes and given the nature of our enemies, could I see myself or another a reasonable person acting as he did in Situation X? The answer, I think, as was clearly so in the case of Ramos and Compeon, will be an affirmative in nearly every case. And that ought to be the bottom line. Take MSNBC’s modified version of the U.S. citizenship test and let me know how you scored. These are all basic questions that every American should be able to answer. FWIW, I got a 95. Missed the question about the number of amendments to the Constitution by changing my answer at the last second. Poor test-taking strategy on my part! Geraldo Rivera, he of the Al Capone vault television mega-flop, has an over-the-top article up at the Huffington Post in which he condemns the recent raids by U.S. Immigration and Customs Enforcement that resulted in the arrests of hundreds of illegal immigrants. The Wall Street Journal called the raids "immigration theater" and I’m inclined to agree with Rivera to an extent. And why the heavy hand? These are non-violent people. Their crime is almost invariably that they are here, their presence, not that they did anything wrong while they were here. Even minimal physical resistance to authority is rare. The federal government could have as easily sent in a couple of civilian garbed immigration officials and handed out summonses to report to a certain gathering spot to await detention and deportation following a hearing. The vast majority of those honest workers would have shown up without the pathetic show and without the terror gratuitously inflicted on these poor working families. I’m sure this is mostly true. However, it’s incumbent on me to point out that Houston Police Officer Rodney Johnson was murdered by an illegal alien he’d arrested last year. This is just one of many crimes committed by illegal aliens in the U.S. Characterizing all illegals as peaceful is wrong, just as demonizing them because of the actions of a few is inaccurate. It’s great that ICE is finally rousing itself from its gentle slumber and taking an interest in its responsibilities – don’t get me wrong on that point. To the extent that such raids discourage illegal immigrants from crossing the border they are a good thing. But it’s a long way from comprehensive immigration reform. Rivera says that without illegal workers our farming industries will suffer and the food supply might fail. But will that really happen? Doubtful. 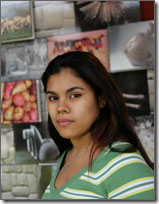 As the NY Times reported, illegal workers often work well excess of a regular work day at low rates of pay. No surprise there. Replacing workers who are willing to work for sub-market rates will cause the prices of the product they produce to rise accordingly. But it can be done and will be done if the pool of illegal labor dries up. There’s no such thing as a job an American won’t do; it’s simply question of the price point. Still, Rivera is correct in saying there would be economic consequences if too many illegal workers are sent home. How much and for how long is a big unknown. To me that’s not an issue because it’s not going to happen. ICE’s daring raid aside, there are too many illegals with too big of a stake in this country to think that they’re going to leave it empty-handed. We can’t make them, so why pretend? That’s why it’s so important to implement real, enforceable immigration reform that secures our borders, provides a quantifiable, verifiable path to citizenship for those illegals already here, and creates a flexible system to support the management of a legal immigrant labor pool. John Hawkins says that he won’t support John McCain because the latter favors just such a plan for dealing with the illegal immigration mess. That’s an admirable bit of ideological consistency from a good conservative writer but it’s also rather silly and short-sighted. News flash: The immigration hard-liners all lost in the Republican primaries and the fantasy of forcing 10-15 million immigrants to leave the U.S. and re-apply for admission died with their defeat. Fact is, decades of governmental incompetence created the current situation and there’s no easy fix for it. Conservatives who hold out for unrealistic and draconian measures simply make the problem worse by prolonging the status quo. The NY Times reports that immigration officials have been running a rapid-fire prosecution program aimed at illegal aliens who’d fraudulently used other people’s identification to gain employment with Agriprocessors Inc. Nearly 400 people were processed through the special court. 94 were convicted on Wednesday alone. For the math-challenged, that’s nearly 12 convictions per hour. That doesn’t seem right. The prosecutions, which ended Friday, signal a sharp escalation in the Bush administration’s crackdown on illegal workers, with prosecutors bringing tough federal criminal charges against most of the immigrants arrested in a May 12 raid. Startling for a couple of reasons, first and foremost for being long overdue. It’s almost surprising to see federal officials doing anything to enforce laws that illegal immigrants break with near impunity. It’s also starting to see mass trials in the United States in which the accused have relatively little access to attorneys, some of whom were severely overworked during the process. It’s not the charges – which were almost certainly legitimate – or the sentences – 5 months in prison – that’s troubling. Rather, it’s the idea that we’re going to ram these people through a makeshift sentencing process that’s a farcical shadow of the real American legal system. It’s not like this can be a sustained effort. There’s no place to put these people, for one thing. Even if we were to convict and sentence only 10% of illegals we’re talking 1.2-1.5 million people. So it’s obviously a short-term scare tactic. Perhaps it will work. If Clausen’s clients want to go home ASAP, perhaps others will too. Meanwhile, the Times says that prosecutors were preparing a case against Agriprocessors, which should be a slam-dunk since the workers are required to cooperate with related investigations as part of their plea. No surprise. Ultimately this is the way that the battle with illegal immigration must be won – at the demand end of the pipeline. The supply, it seems, is inexhaustible. Why do advocates think that people who speak out against illegal immigration are guilty of using hate speech? When you stop and think about it, the United States is a pretty safe and civil place to live. Even so, many of us, whether black, white, or brown, have been harassed about the color of our skin or the language we speak. In a case like this, Is the speaker a criminal if one is not physically assaulted? Janet Murguia, president of the National Council of La Raza ("the people") thinks so. Speaking at the National Press Club in Washington on Thursday, Janet Murguia, the N.C.L.R. president, said that anti-Latino remarks on the big three cable news networks are insulting not only to minorities but also to the greater American population. “It’s personal, it’s intolerable, and it has to end,” she said. “Very often they’re taking their issues straight from some of the hate groups that we just described here, so that actually these words that go out from the hate groups get turned into campaign strategies and political strategies,” said Cecilia Munoz, an N.C.L.R. vice president. Glenn Beck, CNN’s Lou Dobbs, and Fox’s Sean Hannity and Alan Colmes were specifically cited by Murguia as being "vigilantes" who promote hatred of Hispanics by providing a forum for speakers opposed to illegal immigration. While this view is perhaps understandable in the case of Mr. Beck, I believe that the U.S. media has been more than fair in their treatment of Latinos in general and illegals in particular. NCLR says that public discussions of the immigration issue promote intolerance and should not be allowed because of their effect on race relations in this country. NCLR and Murguia are putting the cart before the horse. Legal Hispanic immigrants are very much accepted in Texas and other states with large Latino populations, particularly when compared to the prejudice they faced only a few decades ago. However, the presence of a vast illegal, undocumented Hispanic subculture has significantly undermined Latinos’ progress toward integration by creating negative stereotypes about Latinos and social friction with citizens of all backgrounds. Despite what the NCLR says, it’s the illegals themselves, not the resulting discussions about them, that strain relations between Hispanics and the rest of the population. I don’t think that Lou Dobbs hates Latino people. Nor do I (obviously – I married into a Hispanic family). Writing and speaking about the fact that illegal immigration is a huge social problem that must be ended is not hate speech. Moreover, our right to express our considered opinions must be protected, Ms. Murguia’s deliberately crafted outrage to the contrary. As a free American, Ms. Murguia has every right to boycott CNN, write letters to Dobbs’ sponsors, etc., but that is the extent of her privileges. She does not have the right to dictate what Lou Dobbs, I, or any other journalist/blogger say or write. Everyone knows there is a line sometimes that can be crossed when it comes to free speech. And when free speech transforms into hate speech, we’ve got to draw that line. And that’s what we’re doing here today. And we need to make sure that network executives will hold their people accountable and not cross that line. It seems to me that there is a line across which a speaker cannot go without committing a crime. The law obviously agrees – incitement has been a crime in English law for over 200 years. Yet speech, however unpleasant it may be to the listener/reader, must not be defined as a crime unless there is a demonstrable intent to incite listeners to violence. The one sure way to prove that, perhaps the only one not involving a defendant’s self-incrimination, is for a listener to act on the speakers words in a criminal fashion. Until the day on which Thought Crime can be and is prosecuted in this country, I must retain the right to hate, say Keith Olbermann, for example, and should be allowed to say so, no matter who it might offend, so long as I stop short of calling for KO to be the target of criminal behavior. It’s not the hate that’s the crime, in other words – it’s the actions, just as it has always been. The attempt to criminalize thought and speech is perhaps the most cynical form of fascism we face in this country. Should those who propose it should be censored, as they would do to the rest of us? No. Instead they should be shouted down and then peacefully ignored until the next incident, whereupon we must face them down again, as often as necessary. In the NY Times, Julia Preston writes that the immigration problem is defying politicians’ attempts to answer it easily. Coinciding with the mood of apprehension following the Sept. 11, 2001, terrorist attacks, the new immigration has provoked more than the traditional suspicion that foreigners are taking jobs from American workers. For many voters in the primary races, immigration has become an urgent national security concern and a challenge to the American identity. The new immigration also sharpened the rift between the federal government and the states. Across party lines, frustrated voters accuse the Bush administration of failing to secure the southern border against intruders, of being lax on employers hiring illegal immigrants and of preaching assimilation without providing resources for local schools where Spanish-speaking students are enrolled. While our leaders have failed to lead on this issue, I don’t agree that it’s because the illegal immigration problem is overly complex. The minefield that is public relations makes it a treacherous issue to take a stand on, what with pro-immigration groups being so vocal and a liberal media and court system ready and willing to shoot down any and all attempts to restrict the rights of illegal immigrants. The issue itself, however, is relatively straightforward. America’s borders should be secured and admittance to the country controlled simply as a matter of principle. That or open the borders and do away with the concept of illegal immigration altogether. I’d rather pay for the former. Future immigrants should be vetted and admittance granted on the criteria of maximum benefit to the U.S. Preference should be given to the educated, the able, and those willing to assimilate into our culture, with scientists, researchers, and engineers at the top of the list. Existing illegals should be given a path to citizenship. Our inept management of our borders and policing invited these people here and they have become our responsibility. Provisions should be attached which allow for deportation of criminals during the interim period. Any illegals who do come here in the future should be denied access to public resources of all kinds, including health care, education, welfare, transportation, etc. This is the single biggest disincentive we can create to discourage their arrival. Though difficult, it must be done to stem the flow. In addition, deportation should be administered at all levels of law enforcement and fines against employers who use illegal laborers should be prohibitively expensive. Now, try to get elected with that approach. That’s the trick.